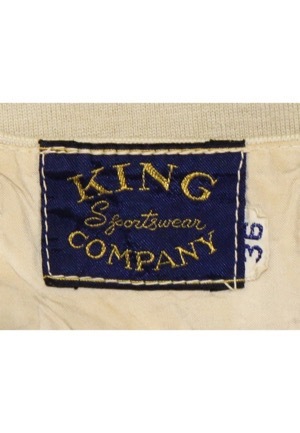 On the inside front of the crotch piece is the King Sportswear manufacturer’s tag with an attached flag tag reading the size “36”. Attached to the collar is a flag tag reading “DRY CLEAN ONLY”. 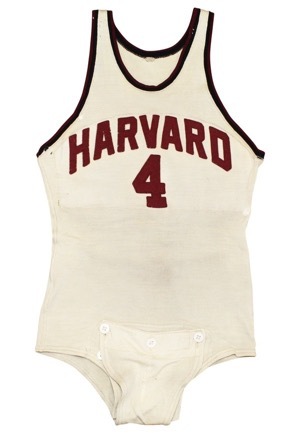 Across the chest reads “HARVARD”. 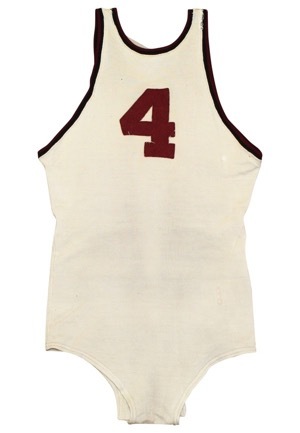 The player number “4” is adjacent below and on the back. All numbering and lettering is done in red felt. There are numerous repairs on both the front and back of the jersey but the jersey has remained in fantastic condition. This jersey is properly tagged, was presented to us as game-used and in our opinion shows excellent use. Accompanied by a LOA from Photo-Match.com grading the jersey a 9.